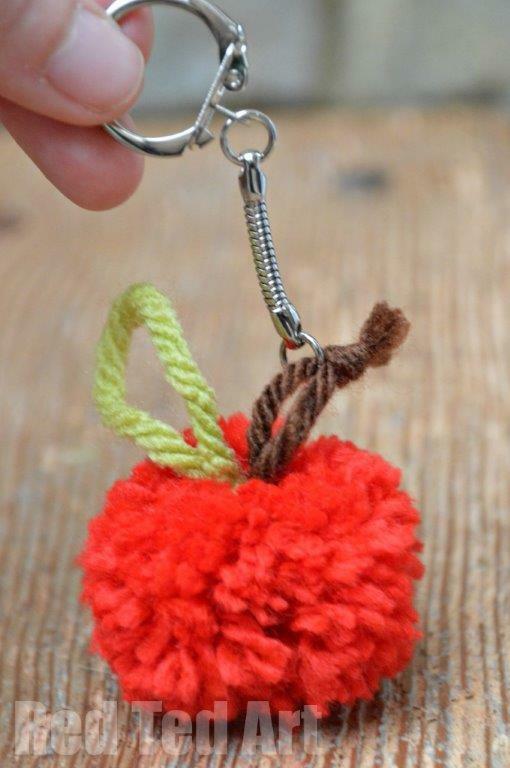 Soooo… you may have noticed that we have gone a little APPLE MAD here recently.. well it IS apple season.. and apple crafts are such a lovely way to celebrate Autumn…. 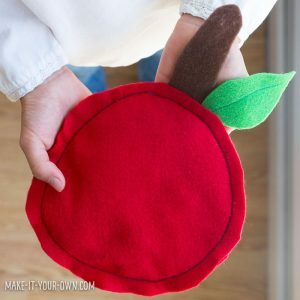 I love the lovely apple reds and apple greens, the round simple shapes, that lend themselves perfectly for creating apple crafts for kids! 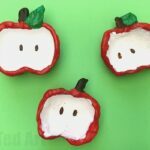 Hope you like our Apple Craft Ideas! 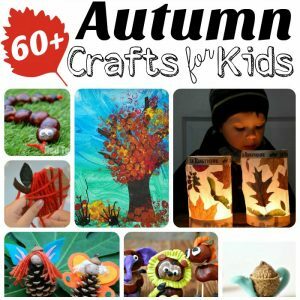 If you love autumn and are looking for Autumn Crafts for Kids, we have a great big list for you to browse! 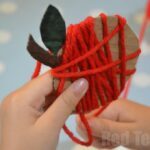 Note: this Apple Crafts for Kids post was first publish in Sept 2014 – but has been updated (with MORE fabulous Apple Craft Ideas) and republish for your convenience. 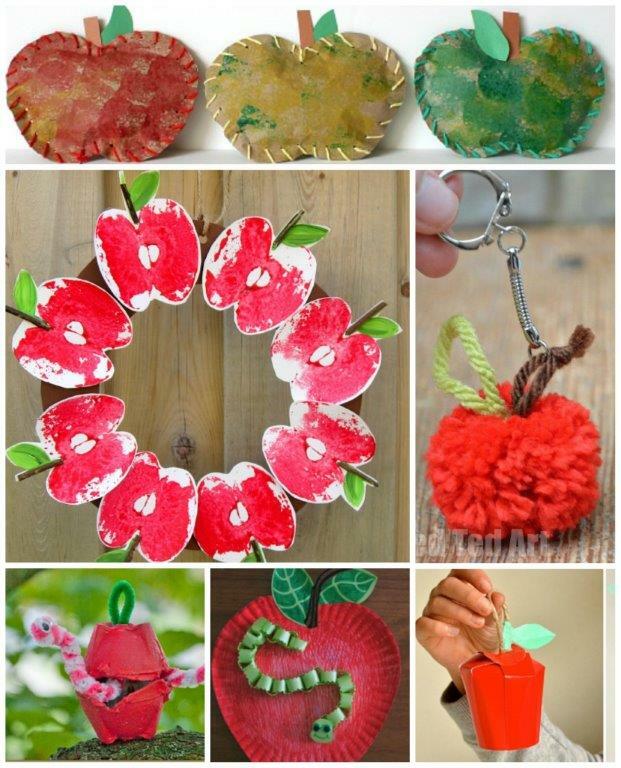 Without further ado… here are the fantastic Apple Crafts & Activities. Let’s begin with the wonderful set of kids that are PRESCHOOLERS. 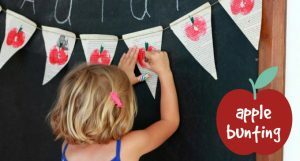 When my kids where younger – ie toddler and preschooler age – they had an abundant love for crafting and getting stuck in. 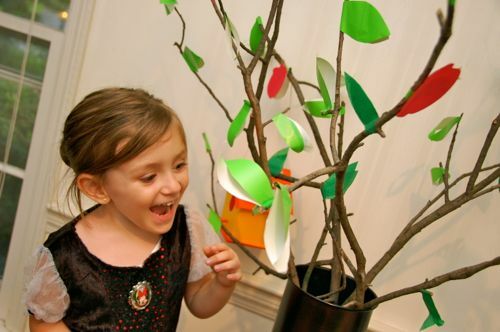 They wanted to have a go at everything and anything.. however their fine motor skills and dexterity were not always at a level that enabled them to “keep up”. 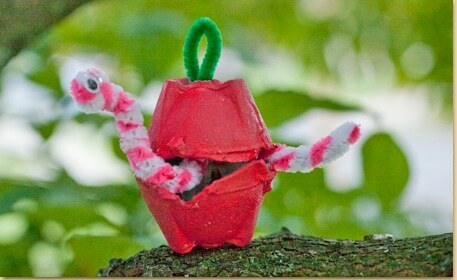 Finding the right sort of craft for preschoolers, is rewarding for both the child and the adult. They can enjoy the process as much as the end result. 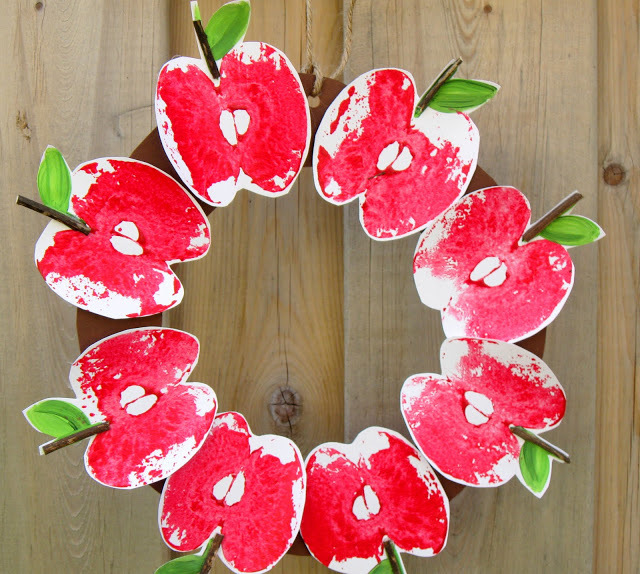 Here are some great Apple Crafts for Preschoolers, that will hopefully delight both children and adults alike. Sometimes it is hard to get the “age” exactly right, in which case a little assitance from the adult is called for. 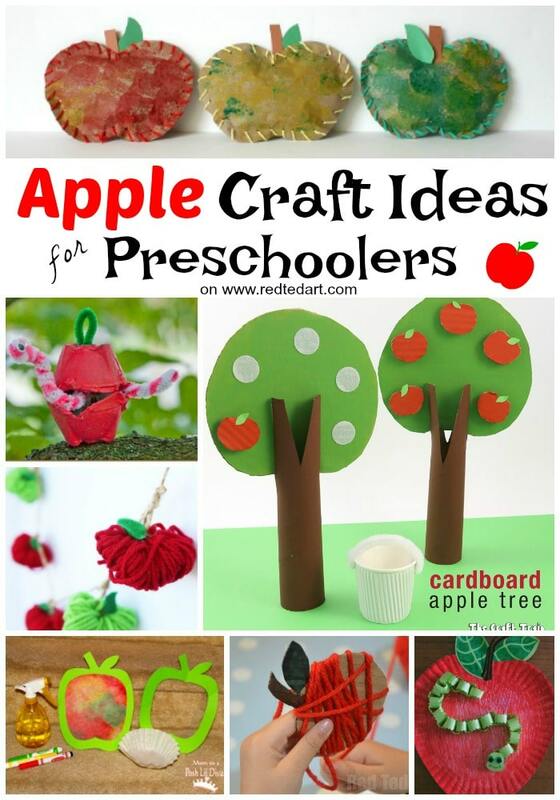 But I do hope you enjoy the following apple crafts for toddlers. 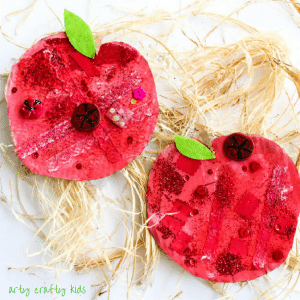 Apple Picking Craft & Activity – lots of fun! 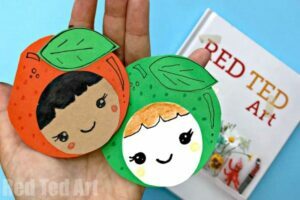 Love how cute these construction paper apples are! 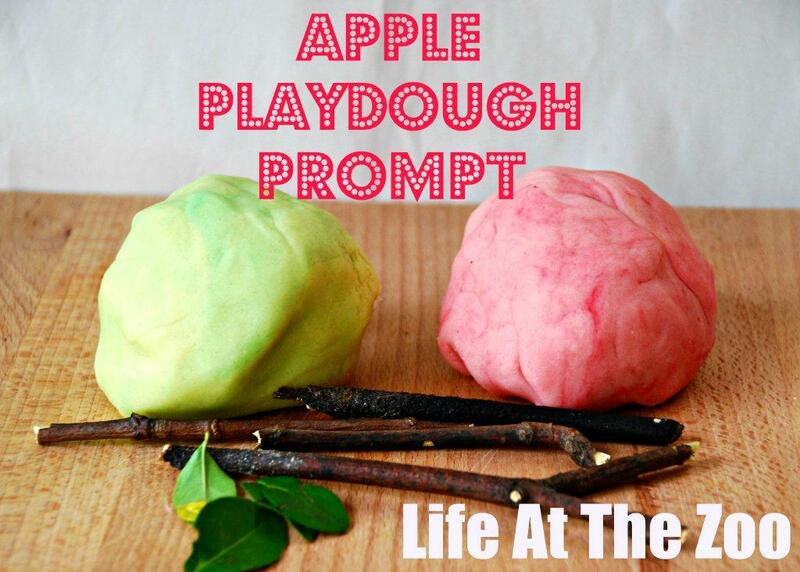 Perfect for small hands and a great fine motor activity. More info over on Twitchetts! 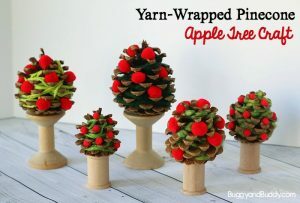 Adorable Pinecone Apple trees. How fun! 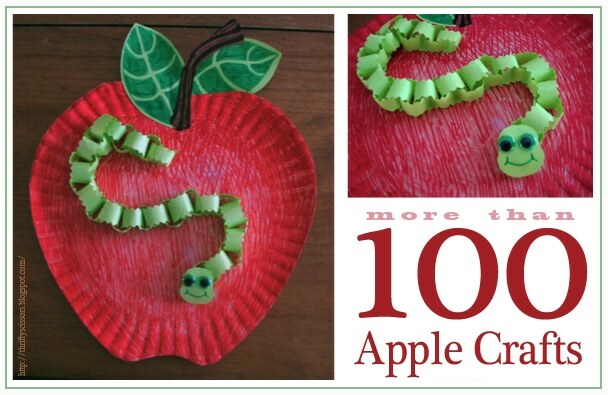 Fun with Apple Collages! 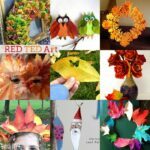 Go on a “red” colour hunt first. 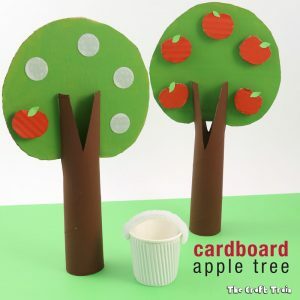 Not only is this and adorable DIY Apple Tree (made from Cardboard Tubes) but you can also “pick the apples” and pop them into your pot. 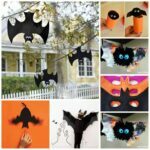 Great for DIY games or counting activities! 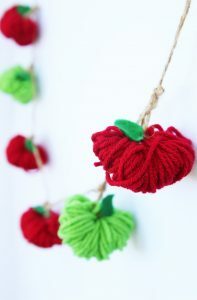 Love how easy this Yarn Apple Garland is! 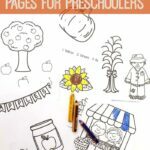 More info on The Best Ideas for Kids. 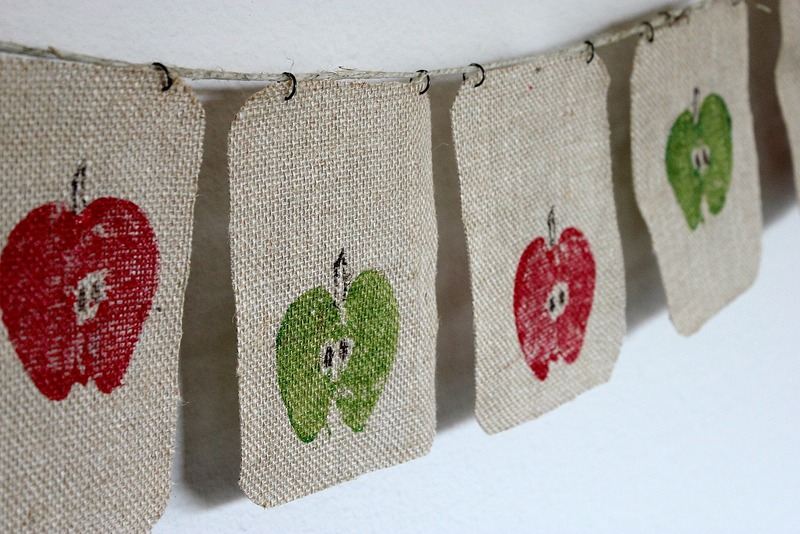 I also adore this newspaper and apple print bunting. Just wonderful. 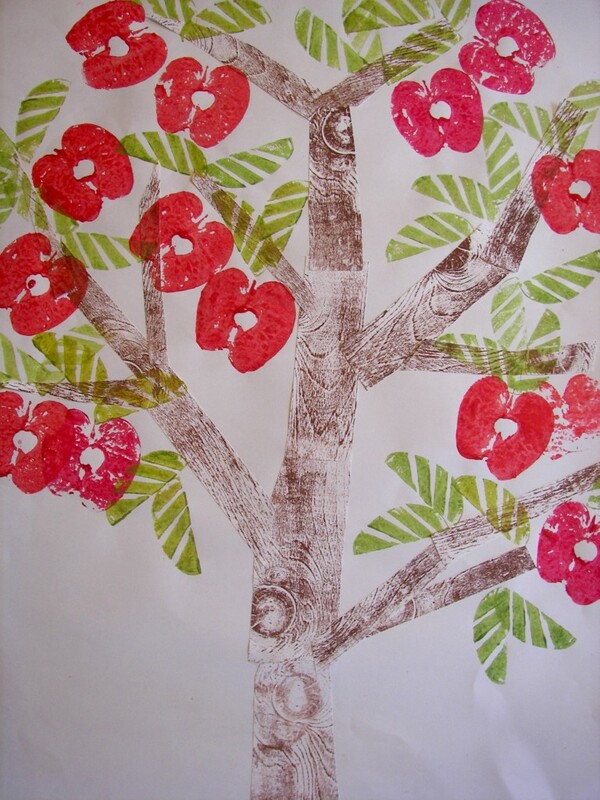 More info over on The Artful Parent! 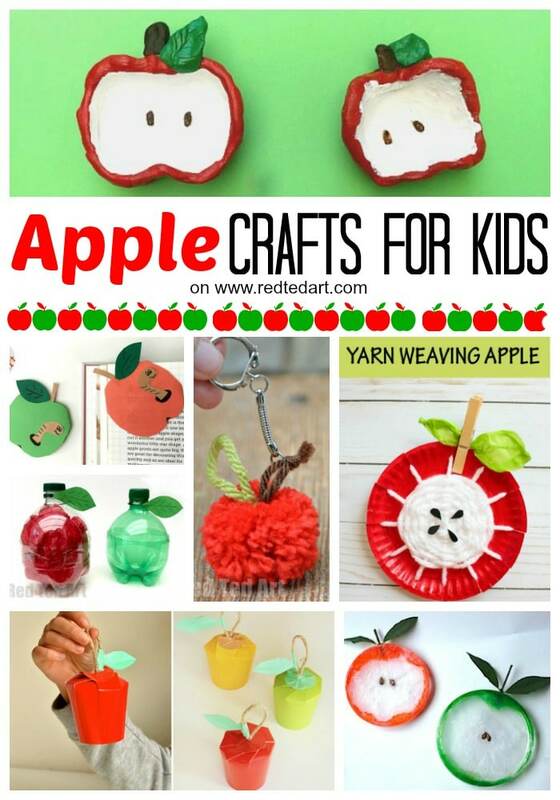 The apple crafts for kids section is really a apple crafts for “all”. 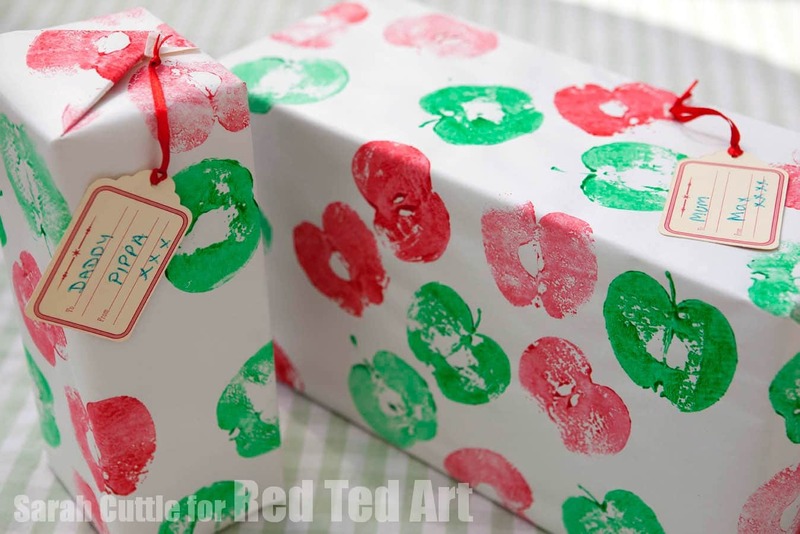 Some may be appropriate for younger kids too, especially if you enjoy crafting TOGETHER. But don’t be tempted to “take over” from them. Teehee. 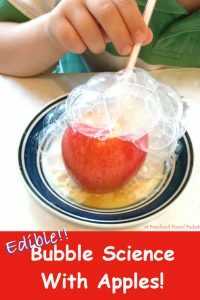 Anyway, everyone works at a different levels of dexterity and fine motor skills, and you may also enjoy some of the apple crafts for the preschool section (I certainly do)! 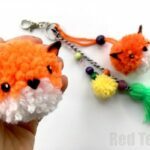 I hope you enjoy them all. 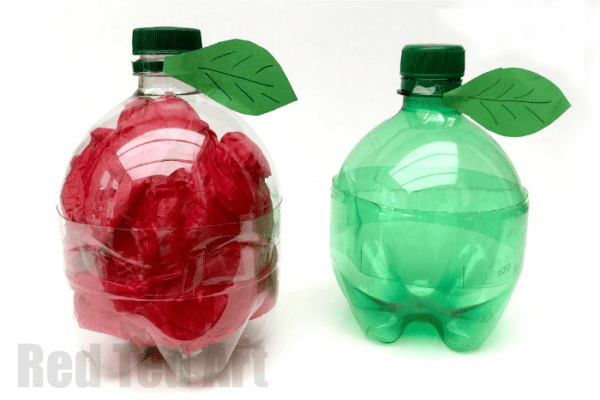 5minute Plastic Bottle Apple – love how oh so simple and yet effective these are! 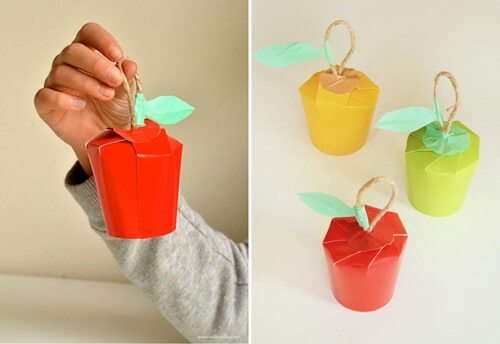 Fill with lunch time treats or turn them into a fabulous Teacher’s gift! 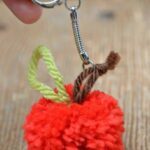 Pom Pom Apples – great as Zipper pulls, keyrings, pretend play or a small teacher’s gift! 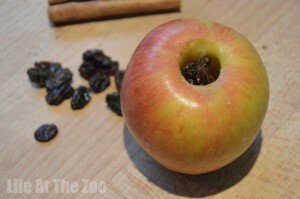 Super Easy Apple Pinch Pots – the kids will love this easy Autumn craft! 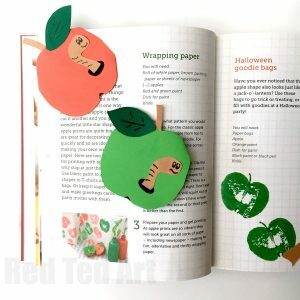 Easy Paper Apple Bookmark Corners. 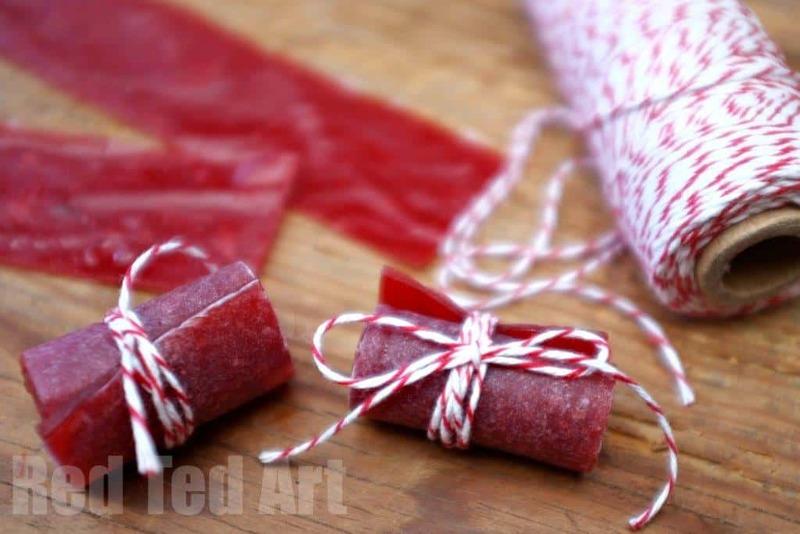 Pop them over your bookmark corner to save your space. 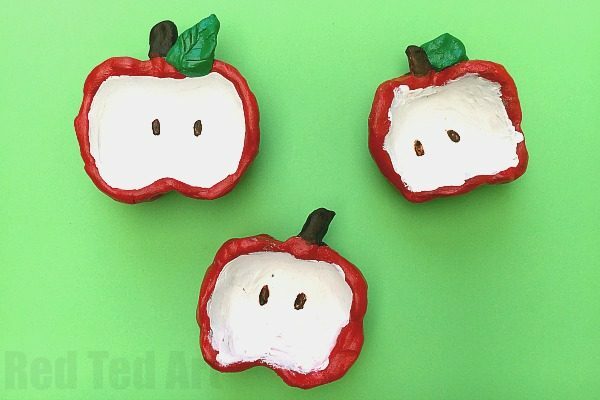 Or how about these adorable Kawaii Apple Girl’s? Aren’t they fun?? 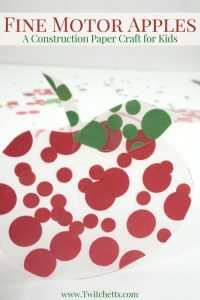 Learn how to make a corner bookmark Apple for teacher! 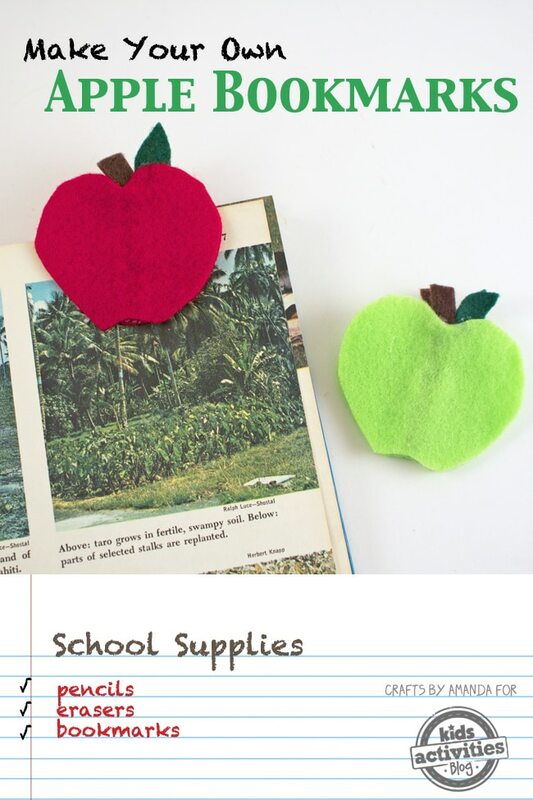 Alternatively try this felt verison – Cute Apple Bookmarks! 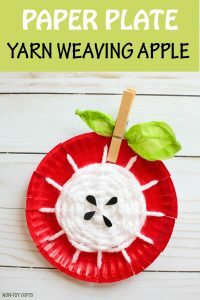 And if you have an abundance of apples on your apple tree.. too many that you can’t actually eat and cook them all, you may enjoy some of these apple printing craft ideas, as well as some great simple apple recipes to do with kids. 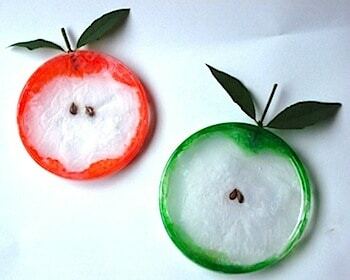 Combine apple science, with fun, with after school snack time!!! 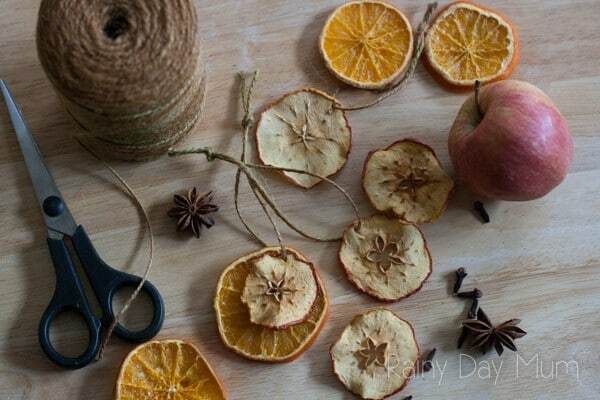 Finally how about some dried Apple Star Ornaments? So sweet! 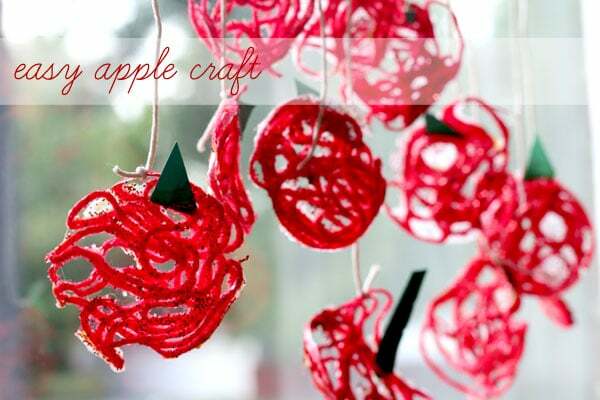 Have fun with our apple craft ideas!! See you here again soon. 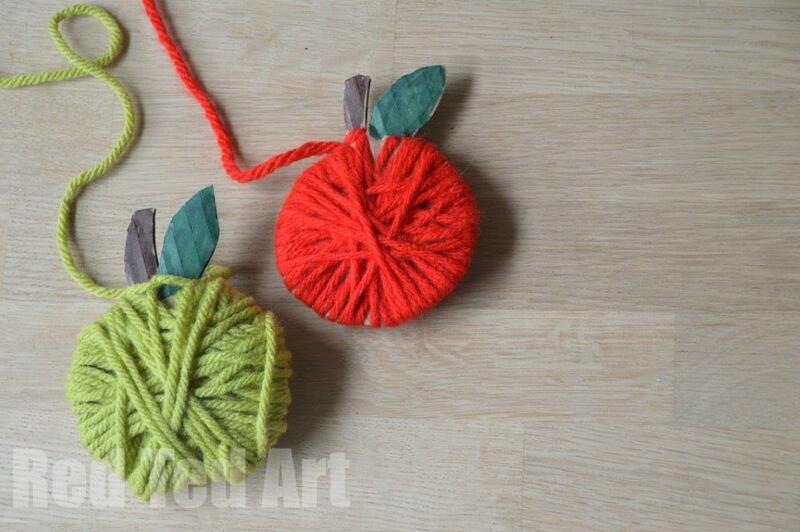 Thank you for so many apple crafts. 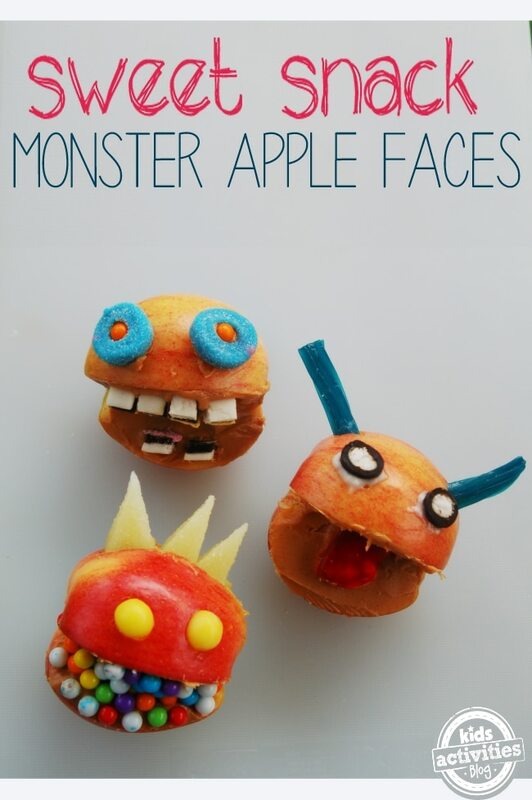 Love these ideas – we’re taking our daughter to an Apple Festival tomorrow so these will be well timed. 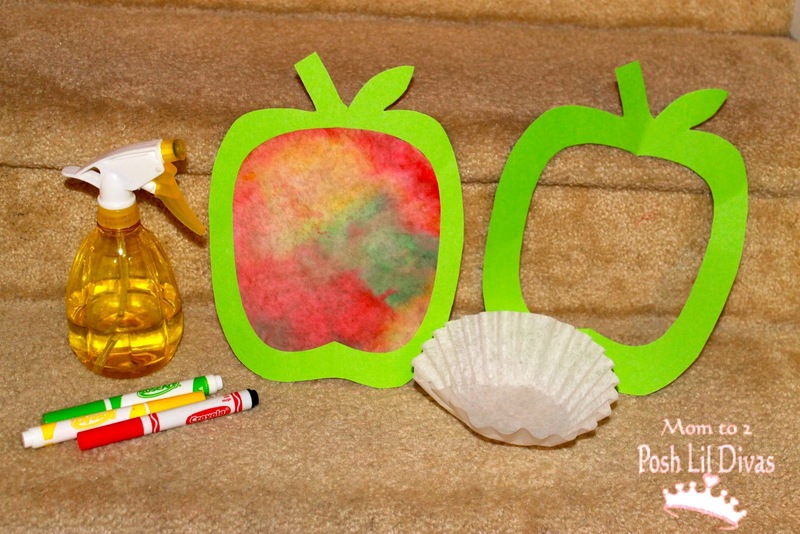 Can’t wait to get printing with apples and to making the paper plate apple with wriggly worm. So pleased to hear it! Such a great list! 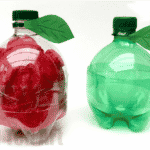 I love your ideas. Thanks!